This festival celebrates beach culture in Barbados. Event organiser is Barbadian Brian “Irie Man” Talma (aka “deAction Man”), a former professional world ranking Windsurfer and watersports/beach culture activist. There will also be an Art Exhibition of Talma's symbolism art showcasing Beach Culture. 'The objective is to blend the fishing community with the surfing Society,' says Brian Talma, organizer. This event attract participants from throughout the Caribbean and worldwide annually. 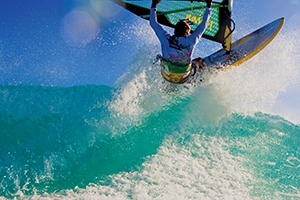 A waterman has the ability to perform in several water sport activities. Silver Sands Beach, Silver Sands, Christ Church! 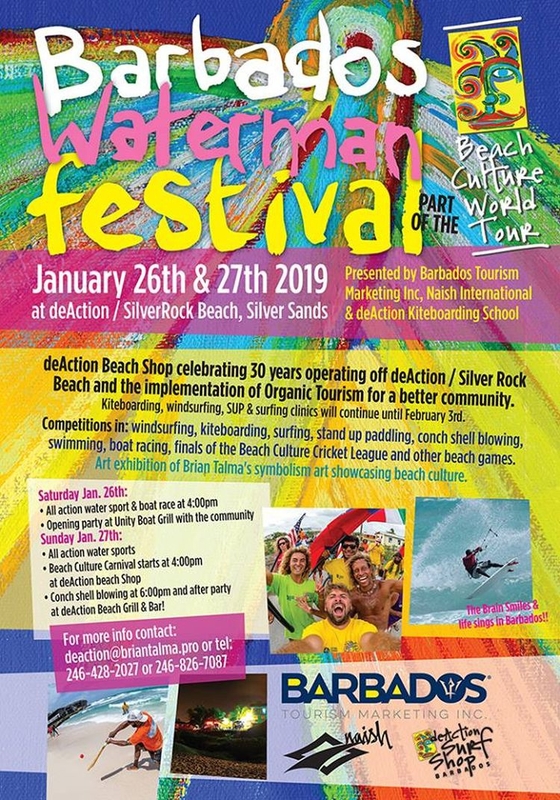 See our Swell Surfin' article for more information about Barbados' Waterman sports.